This can be set to the name of the extended attribute in Infoblox where Morpheus will check for the id of a morpheus tenant. 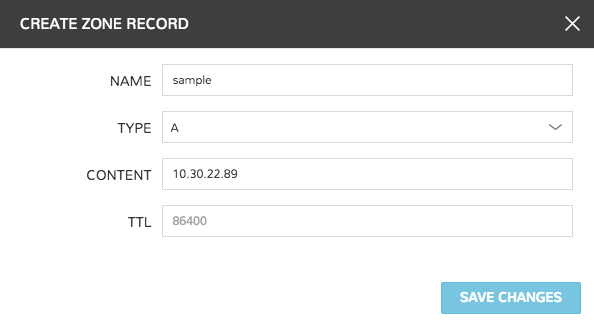 This allows for setting the tenant’s Morpheus id to an extended attribute field on a network view or network in Infoblox, and when the network or view is discovered by morpheus, it will be auto assigned to the right tenant. Infoblox networks will be synced in and populate in the Infrastructure - Network - IP Pools tab and in the Infoblox detail page under the NETWORK POOLS tab. DNS Zones will sync and populate under Infrastructure - Network - Domains and in the Infoblox detail page under the HOSTS tab. 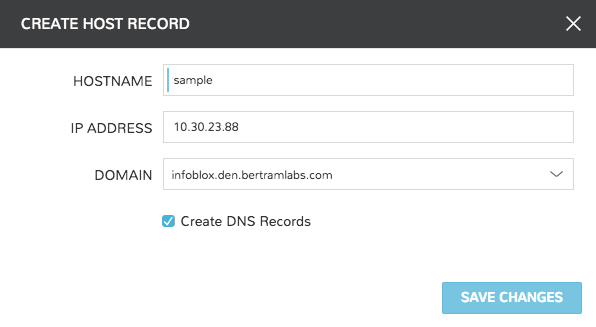 Morpheus can automatically assign the next available Infoblox IP in an IP/Network Pool and create the corresponding DNS records, as well as remove the records upon teardown. To enable this, add an Infoblox IP/Network Pool to the Network Pool section on a Network(s).